Credit scores greatly impact a consumer’s financial moves — and how much they’ll pay along the way — yet many don’t even know how the rating works. Around 40 percent believe, incorrectly, that age and marital status play a role in their three-digit score, according to the Consumer Federation of America’s credit card survey, which included interviews with some 1,000 people from May 31 to June 3 of this year. Here’s how: Keep balances below 25 percent of the credit limit, don’t hold too many open accounts at once, and make payments on time. “If you are four days late on a credit card bill, your score can go down 30 to 40 points,” said Steve Brobeck, the executive director of the Consumer Federation of America. “Most consumers don’t seem to understand how important credit scores really are in their financial lives,” Brobeck said. Brobeck said that while borrowers tend to know that mortgage lenders and credit card companies factor in their score, they don’t realize that many landlords, utility and cellphone companies also use this number to decide whether or not to do business with them — and on what grounds. For example, just 53 percent of people who haven’t obtained a credit report — compared with 80 percent of those who have — know that consumers have more than one score. The reason you don’t have just one score is because different bureaus can have different information on you, and sometimes lenders calculate their own scores. People should check their credit scores frequently to make sure there are no mistakes and to find out where they stand. 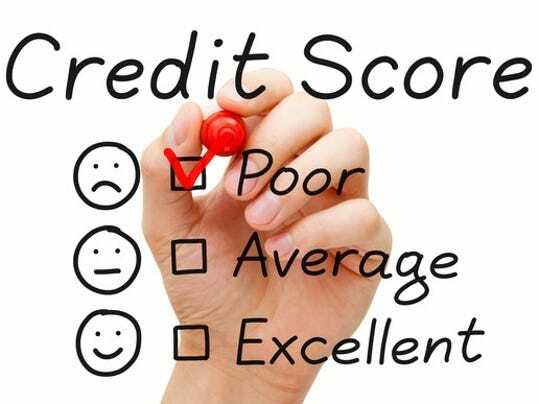 Credit reporting services also use an algorithm that scans a consumer’s report and can determine ways a score can increase, such as paying down debt or paring down the number of credit cards you have. To find out how much you know about credit scores, go to CreditScoreQuiz.Org.